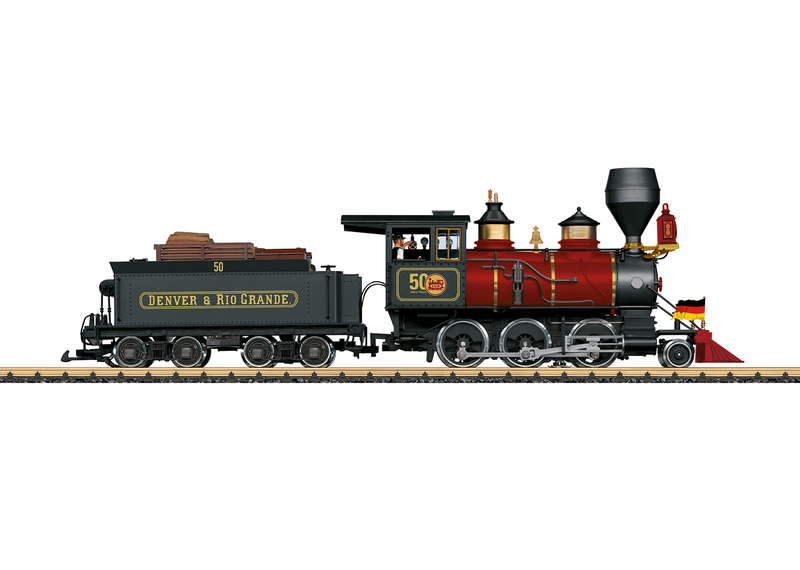 This is a model of the Mogul type steam locomotive of the Denver & Rio Grande Western Railroad painted and lettered in a special version for the 50th anniversary of LGB garden railroads. All of the driving wheels are driven from a powerful ball bearing mounted Bühler motor. The locomotive has traction tires. It is equipped with an mfx/DCC decoder with many light and sound functions. The locomotive has many separately applied details. Length over the buffers 67 cm / 26-3/8".